Russian billionaire and Chelsea football club owner Roman Abramovich obtained Israeli citizenship on Monday amid ongoing delays to renew his UK visa. An unnamed source, familiar with the situation, told Sputnik that the Russian businessman left Israel immediately after he was granted citizenship, having only spent a few hours there. 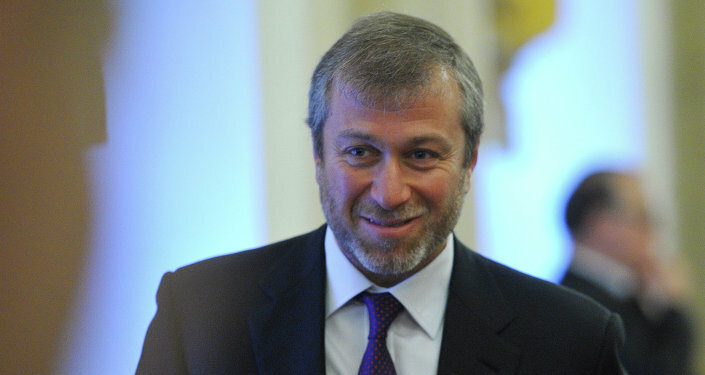 “Abramovich arrived in a private jet, formalized documents and has already left Israel,” the source told Sputnik. Now that the businessman of Jewish origin has received Israeli citizenship, he can obtain a passport, as Israeli passport-holders are permitted to enter the UK without a visa for short stays. "The billionaire went to the airport terminal on general grounds, to the place where arriving repatriates are registered. He was given a certificate of a new immigrant (te'udat oleh) and an identity card (teudat zehut)," a Russian-language media outlet described the procedure. Media earlier reported that the billionaire had decided to immigrate to Israel amid deteriorating relations between the United Kingdom and Russia following the purported poisoning of Sergei Skripal, which has allegedly created obstacles for his UK visa extension. Abramovich’s previous visa was said to have expired in April, and the application for the renewal is reported to be under consideration.